The moving professionals of My Guys Moving & Storage have been moving the families of Suffolk, Virginia for over 25 years. We use a variety of helpful and effective practices in packing, unpacking, specialty item transportation, and storage to provide our clients with a stress-free move. 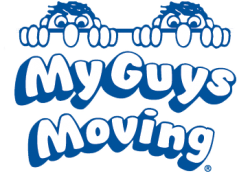 With all of our resources and experience in the moving business, My Guys Moving & Storage Richmond, VA will give you a move that is unmatched by all other moving companies in all your long distance moves. Suffolk, Virginia lies in the metropolitan Hampton Roads area in Southeast Virginia with a population of over 84,000. Sitting nearby the banks of the Nansemond River, the city offers a grand selection of fun outlets for both residents and visitors. 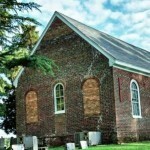 In the way of history, many enjoy visiting and taking in the sights of town landmarks like Riddick’s Folly House Museum, the Seaboard Railroad Station, the First Suffolk Church Site, and the Planters Peanut Center. Planter Peanuts started in Suffolk turning the city into (as AM station WLPM call letters say,) The Worlds Largest Peanut Market! Stop in downtown Suffolk and see the bigger-than-life Mr.Peanut statue! Suffolk also hosts many events at places like the Suffolk Center for Cultural Arts and the Suffolk Art Gallery. Along with entertainment venues, the city has quite a few connections to its wonderful natural surroundings through numerous established campsites and nature trails, like the Davis Lakes and Campgrounds and Bennett’s Creek Park. And for exposure to the impressive mixture of forests, and thriving animal life, citizens can take visits year-round to the beautiful Great Dismal Swamp National Wildlife Refuge (be sure to bring your mosquito repellent!). With an enormous respect to both the land it’s built on and the history it’s made, Suffolk stands as a model city for all of Southeast Virginia. Your move to Suffolk, Virginia can be handled expertly through the experienced and thorough moving practices of My Guys Moving & Storage. We assist those living in the 23432, 23433, 23434, 23435, 23436, 23437, and 23438 area codes. For further information, see our online form or give us a call today at (757) 463-3001.